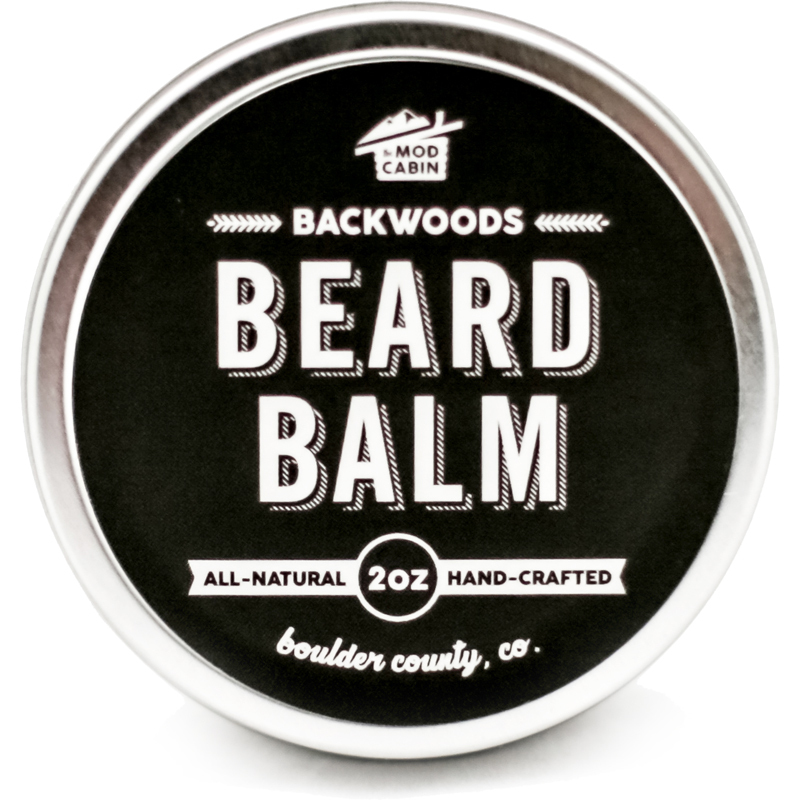 Backwoods Beard Balm & Conditioner | The Mod Cabin Grooming Co.
Backwoods Beard Balm & Conditioner is an all-natural, light to medium hold pomade with a crisp, woodsy aroma that will leave you smelling as if you’ve been trekking through an alpine tundra. 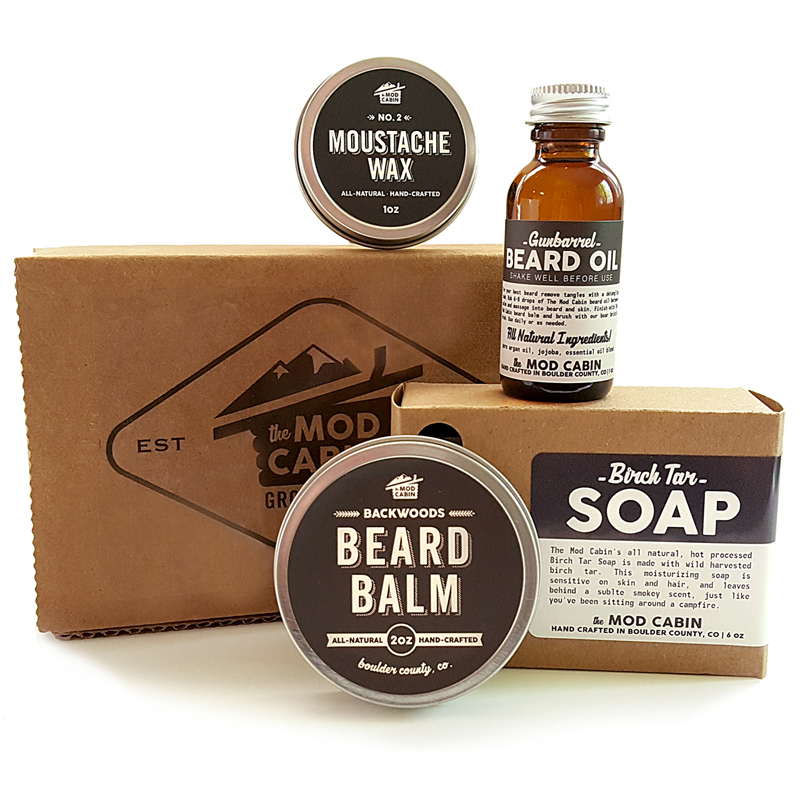 This is one of our most popular scents, with top notes of fir with cedar. 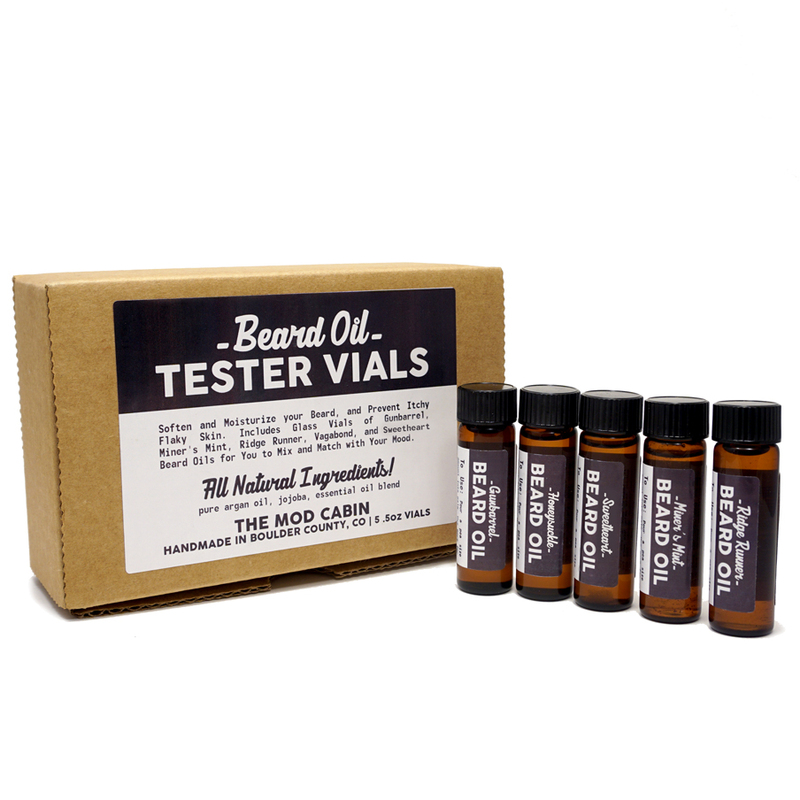 Backwoods Beard Balm & Conditioner instantly makes your beard appear thicker, and keeps your beard moisturized throughout the day. Shea and Beeswax moisturize and provide control and holding power that can be restyled throughout the day. 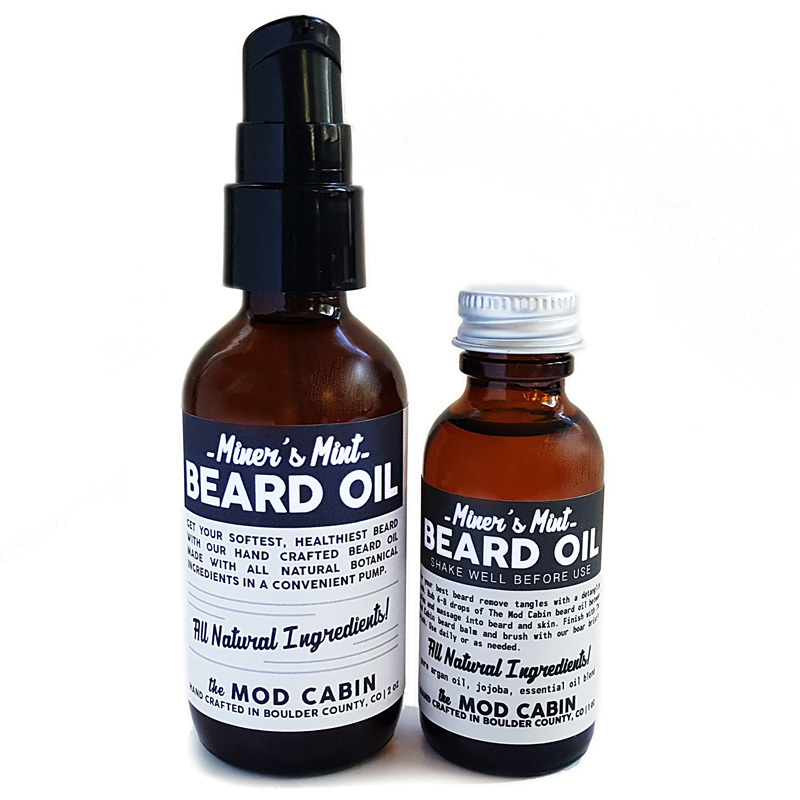 Argan and Jojoba deeply penetrate and moisturize the hair follicles, promoting beard growth, preventing breakage and allowing your beard to grow thick and healthy. Directions: Use back of thumbnail to scrape out a pea to dime sized amount of balm and rub between palms to emulsify. 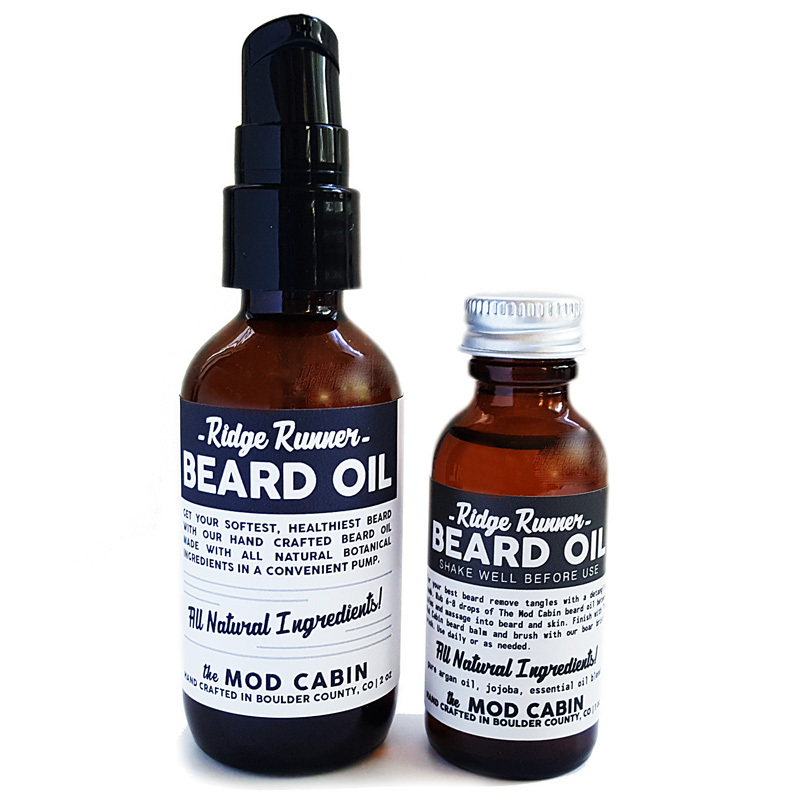 Run your fingers through your beard, making sure to rub balm into the skin where your beard grows to nourish hair at roots, then spread the balm through beard from root to tip. 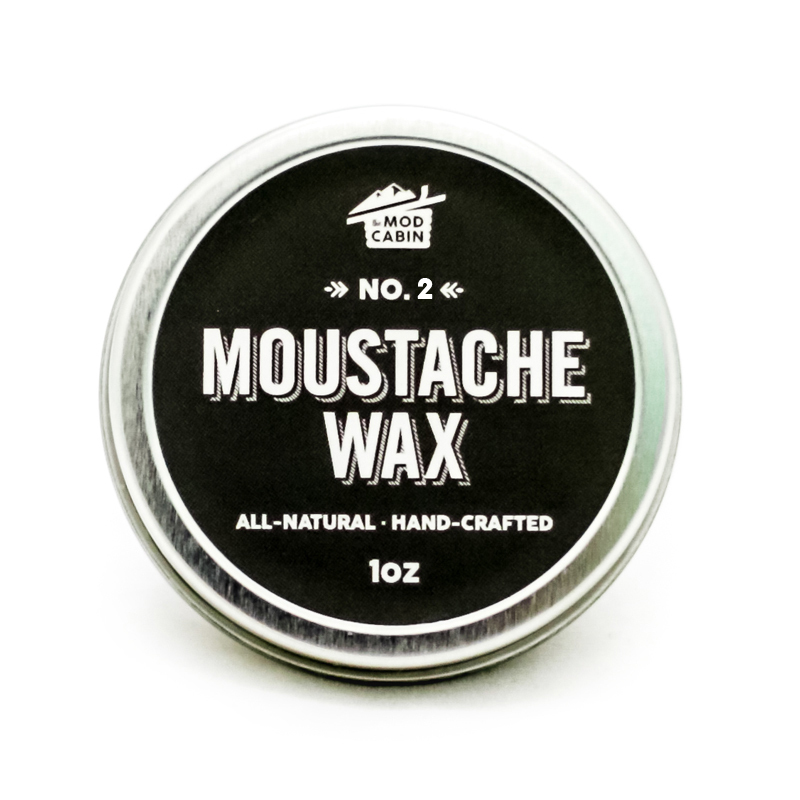 Don’t forget your mustache and the hair around your mouth. 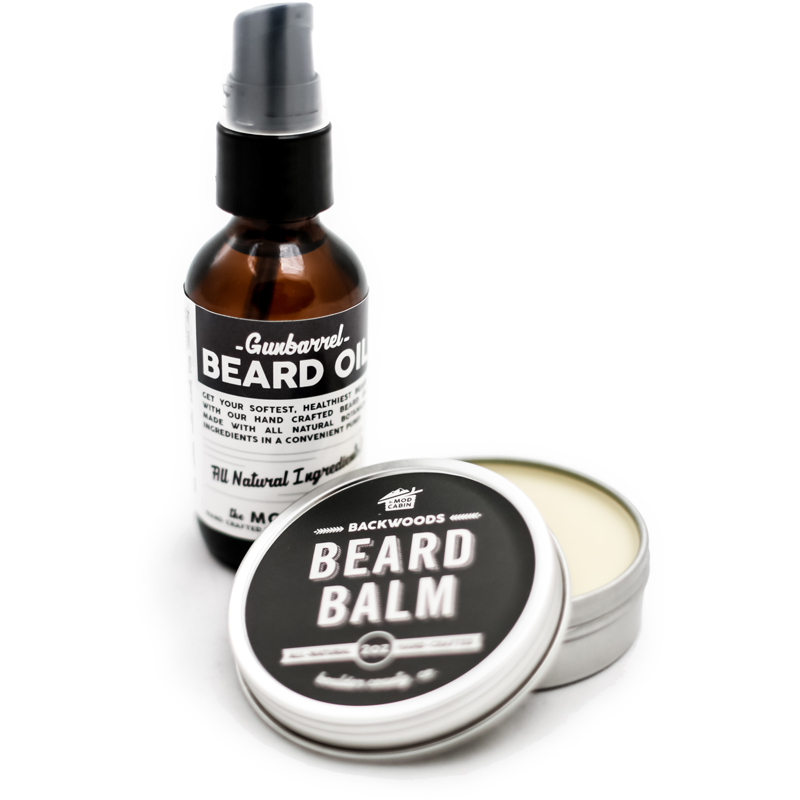 Brush through with a natural bristle brush to help distribute balm evenly throughout your beard.